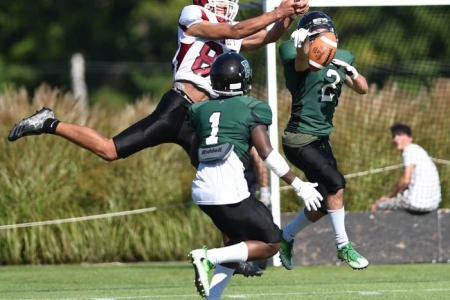 NORTH ANDOVER -- Governor's Academy defeated Brooks, 23-7, in an ISL opener on Saturday. Gov's was led on offense by QB Jared Dupere '18, RB Quin Stott '19, RB Zach Ludd '18, and TE Sean Smith '18. Kevin Lemieux '20 led the charge on defense for Gov's, recording a Sack and a Safety. Jaylen Cromwell '18 scored on a Pick-6 for the lone Brooks TD.